Your hard drive is full. Normally that isn’t such a big deal, but what if you need to grab a coworker’s files before she leaves for a vacation, or what if you want your massive overnight file download to go off without a hitch? Here are some short-term tips for clearing space on your hard drive until you have the time to do a proper cleanup. Average hard-drive capacities are growing every year, so most people don’t practice the same miserly storage habits that they did when megabytes (or even kilobytes) were scarce. But it’s still a good idea to give your drive a fast sweep from time to time to reduce clutter and avoid filling it up prematurely. Follow these steps to eliminate junk and reclaim wasted storage quickly. Before you do anything else, empty your Recycle Bin by right-clicking on it and choosing Empty Recycle Bin. Even the most hardened Windows veteran can occasionally forget that they left a few DVD images in there. 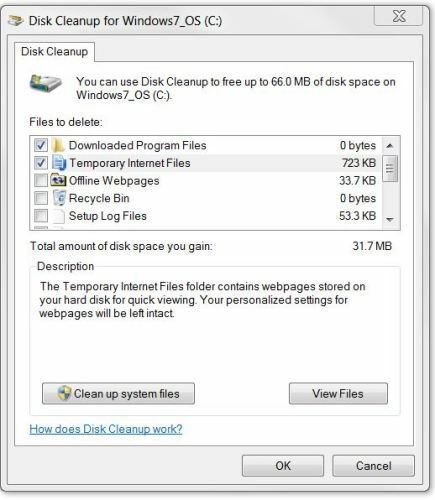 Open the Disk Cleanup tool; typing Disk Cleanup in the Start menu box should bring it up, or else you can find it under Start, All Programs, Accessories, System Tools, Disk Cleanup. Select the volume to clean. After it’s done scanning your drive, it should tell you how much space you can free up by deleting different kinds of files, including cached Web pages, temporary application files, reports from Windows Error Reporting, and so on. 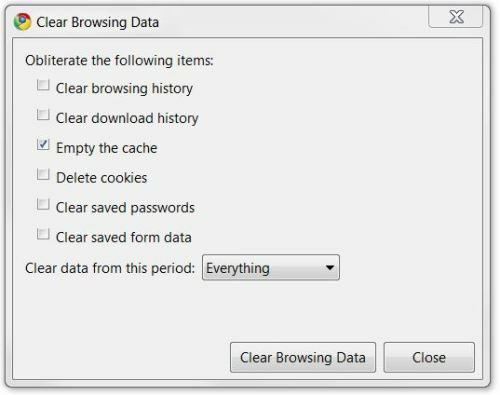 Check and uncheck items at your pleasure, but keep in mind that the space you reclaim by clearing your temporary files or Web browser caches will fill right up as you start browsing again and using applications; if you need that space to store something else, you’ll need to clean even more. Firefox: Go to Tools, Advanced, Network. 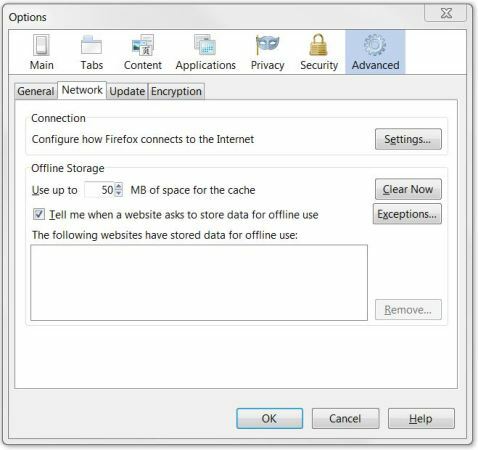 Click the Clear Now button to clear the cache, and adjust the amount of space that the cache uses down to what you can spare. Safari: Enable the menu bar (click the gear in the upper-right corner and choose Show Menu Bar) if you haven’t already. Then choose Edit, Empty Cache. Google Chrome: Click the wrench icon in the upper-right corner, and go to Options, Personal Stuff, Clear Browsing Data. Here you can check what kinds of data to delete; check Empty the Cache and select Everything from the drop-down menu. Even if your hard drive is full, you probably have a handful of other disks that you can temporarily draft into extra storage duty. Obviously, other computers on your network can pull their weight, too; but if you’re in an office or school environment, you might have access to a network drive for storing some stuff. Just check with a system admin to make sure it’s okay before you start any file transfers. Also, you likely own a handful of other devices that could help: A portable media player, a flash memory card, a USB thumb drive, or even the internal memory of a camera or phone can mount via Bluetooth or USB and act as a removable hard drive. Keep note of where you’re storing your files, though, or you might find yourself missing something important later on. Don’t overlook your humble optical drive, either–any remotely recent computer should be able to burn CDs and DVDs, and even when most stores are closed you can still find blank optical media at an all-night pharmacy or convenience store. If you don’t have enough local storage, you can try to keep files on the Internet. Online storage services such as Box.net can provide you with an extra gig or two of storage space if you’re willing to put up with the hassle of uploading and downloading your files. Also, Google recently expanded its Google Docs app to allow users to store any file up to 250MB, with 1GB of total file storage for free. No matter how clean you try to keep your PC or how many extra disks you can bring to bear, you still can’t clear away enough space without deleting something significant. Here’s how you can minimize the painful choices. For most home PCs, the only way you can possibly fill up a modern hard drive is to keep an archive of movies, music, and pictures, all of which you might have copies of elsewhere. Raw video and image files can take extraordinary amounts of space: A standard JPEG image captured with a 12-megapixel camera, for example, could consume about 6MB. Multiply that by the couple hundred pictures you take on a vacation, and you’re looking at a pretty sizable chunk. If you’ve already put those photos on Facebook or Flickr, however, you could clear them off your hard drive and redownload them later with Fotobounce, an app that lets you upload and download whole albums with ease. Likewise, if you have videos on YouTube and you don’t need the uncompressed video files any longer, you can always get rid of them and redownload YouTube’s compressed versions later. The same goes for music files. If you keep most of your music files on your iPod as well as on your PC, delete them from the PC temporarily and get them back later with any iPod manager utility.Finally, delete all of the old episodes of Law and Order you have lying around your hard drive. If you haven’t caught up on last year’s TV viewing yet, you probably won’t miss them–and chances are, you can stream the DVD on Netflix Instant Play. If you’ve done all that and you still can’t clear out space, you likely need to buy a new hard drive. Have any other space-saving tricks? Share them–and your bloated-hard-drive stories–in the comments.